"Nordwind" is subjected to a raider attack? Home / business / “Nordwind” is subjected to a raider attack? “Nordwind” is subjected to a raider attack? Apparently, now is played a serious struggle over the future life of the airline Nordwind. Two radically opposing camps decide whether will repeat the fate of the airline Transaero, or continue to compete in the harsh market of Russian civil aviation. The first camp, as you might guess, heads the management of “Aeroflot”, which is any form of competition – like a bone in the throat. Let me remind you that not so long ago occurred the death of “Transaero” has led to a range of problems for Russian passengers – there was a growth of tariffs, and monopoly in some areas, and drive-up prices in the style of “you are here a lot, and I have one”, and more – that it fears the second camp, the members of which kept the sanity and do not want to buy tickets to leave for three or four years. I exaggerate, of course… Or not? Two points. Watch out for hands. The first Transaero as a crisis Manager is headed by a longtime partner of the General Director of “Aeroflot” – Dmitry Saprykin. This airline could not survive (surprisingly, huh?). The second – most “tasty” route that Sony took “Transaero” received “Aeroflot” and “Russia”. By the way, the yard is 2019, and the Federal air transport Agency continues to meekly extend the tolerances on these two, because, you see, Aeroflot suffered fumbling “orphaned” passengers “Transaero”, and the 747-e, “Boeing”, which the rights of the winner took the “Russia”, not as fresh and modern as we would like. Impressive? Don’t you think that already some of these facts are enough for the initiation of criminal proceedings and verify the legality of the actions Savelyev, Saprykin and management of the Federal air transport Agency? I hasten to remind you that about a third of the budget “Aeroflot” (according to various estimates) are “migratory” money – funds received from the state, who is paid flying over our territory to foreigners. Don’t be the “Aeroflot” span (and many other preferences which need to be discussed separately – clever scheme of operation SSJ, due to which the airlines best them easy on the earth, which is paid, transfer the most profitable routes and other manifestations of the administrative resource), its fate would be simple – escape management in London, bankruptcy, Titanic scale of the problem from the passengers and stuff. That is, if you take away the “span” Aeroflot and give the same “Nordwind” (what? Why not? ), the so-called “effective modern European level of national airline” will soon become a nostalgic memory. So don’t get fooled by the numerous interviews where top management of the airline industry teaches how to live. It is at least funny if the heir of the oligarch accuses of working in insufficient motivation and inability to get out of the comfort zone. 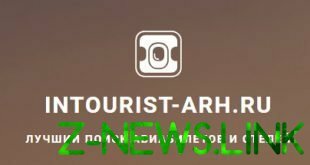 Problems “Nordwind” add airport “Sheremetyevo”. In the process of monopolization and unification of the airport (which is officially referred to as the “consolidation of assets”) the aircraft maintenance became the company “Sheremetyevo Handling”, a subsidiary of the airport. Unfortunately, the rumors about the horrible working conditions and staff turnover were not unfounded – the company, apparently, just not able to maintain such a large amount of work (still, the base airport for the airline in whose favour bankrupt other carriers). The most memorable for me personally story is the damage to the aircraft, which was 480 passengers. The reason is simple – under the wheel of an airliner has put technically wrong Shoe, he rolled, hit the jet bridge, and… “dear passengers, please wait, we broke the big plane, we’ll get you out of here and will think what to do next.” 480 people! Try, to organize their rapid movement to the destination without using the damaged liner! But it’s just the most vivid example. Not always a problem are injuries, sometimes planes just do not have time to serve, even with a banal stream pouring icing fluid at the airport is a serious problem (due to which the vessel sling anywhere, not just on spectromagic filtering, bringing poisonous chemicals into the Klyazma river). And if the same “Aeroflot” just because of supposedly bad weather to cancel a bunch of flights, combine them and reduce the load on the infrastructure (at the cost of inconvenience to passengers), “Nordwind” these games will lead either to bankruptcy or to a massive oversight bodies with the appropriate result. Not the most cheerful prospect. If the raiders win, maybe we will hear news about an “unsafe operations”. It is now a favorite argument of the aviation raiders with which to argue very hard. The same mass cancellation of flights of “Aeroflot” justified by security, and any attempt of criticism (e.g. on the question of why at the same time from the same airport continue to fly all the rest) rises high from discordant votes lured bloggers and “experts” accusing asking questions in misanthropy and all the other deadly sins. But I hope that the airline will be all right – the Russian civil aviation competition. I’d like to believe that it understands the head of the Federal Antimonopoly service Igor Artemyev is, in principle, his basic job duties, to do so, to the eyes of every citizen of the Russian Federation fled from the variety of offers and the best prices. We wish him good luck.